Yesterday, the DailyMail (among others) was suckered into running virtually the same story The Guardian (among others) hyped last year about this time. Using a science journal version of the 2015 IUCN Red List assessment report, polar bear data collectors and their fortune-teller colleagues have managed to get polar bears back in the news. I wrote about this last year – it’s actually good news, although you wouldn’t know it from the headlines. This is how they explain away all the bears that didn’t die as they should have when summer sea ice declined to about 5 mkm2 and below after 2006. These are the same folks who made predictions of doom back in the mid-2000s – the basic assumptions are the same. The bears didn’t die by the thousands after 10 years of low summer sea ice not expected until 2050, as predicted – the ‘sperts were wrong. 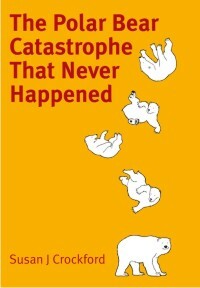 In contrast to the predictions, several polar bear populations thrived, like those in the Chukchi Sea – they didn’t see that coming either (i.e., wrong again). The authors are still pretending that polar bears in the Chukchi Sea, Barents Sea, and Southern Beaufort, for example, all have similar sea ice conditions to deal with (the old “sea ice ecoregion” model developed by USGS biologists back in the mid-2000s, see map below) but we know from research since then that this assumption is wrong. Why would we believe their latest prediction when they were so wrong before? In fact, if they’d been right before, there would be NO polar bears in any of the purple or green regions in the ecoregion map below. If they’d been right, the global population would have been about 6,660-8,325 in 2015, not the 22,000-31,000 calculated for the Red List assessment. 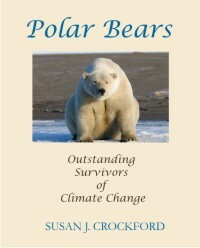 Loss of Arctic sea ice owing to climate change is the primary threat to polar bears throughout their range. We evaluated the potential response of polar bears to sea-ice declines by (i) calculating generation length (GL) for the species, which determines the timeframe for conservation assessments; (ii) developing a standardized sea-ice metric representing important habitat; and (iii) using statistical models and computer simulation to project changes in the global population under three approaches relating polar bear abundance to sea ice. Mean GL was 11.5 years. Ice-covered days declined in all subpopulation areas during 1979–2014 (median −1.26 days year−1). 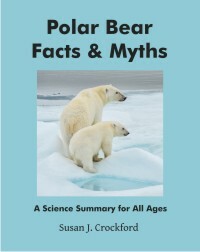 The estimated probabilities that reductions in the mean global population size of polar bears will be greater than 30%, 50% and 80% over three generations (35–41 years) were 0.71 (range 0.20–0.95), 0.07 (range 0–0.35) and less than 0.01 (range 0–0.02), respectively. According to IUCN Red List reduction thresholds, which provide a common measure of extinction risk across taxa, these results are consistent with listing the species as vulnerable. Our findings support the potential for large declines in polar bear numbers owing to sea-ice loss, and highlight near-term uncertainty in statistical projections as well as the sensitivity of projections to different plausible assumptions. This entry was posted in Conservation Status, Uncategorized and tagged crystal ball, ESA, experts, future threats, polar bear, predictions, Red list, Regehr, sea ice, USGS. Bookmark the permalink.